Choosing the right HVAC system for your home isn’t easy. It’s not like buying shoes or even fixing your car. These are complicated systems that you don’t think about much – until they stop working. Here are 5 things to keep in mind before you buy. Do I need to repair or replace my system? What’s the best way to heat and cool my home? Do you offer any special financing, discounts or rebates? Should I be concerned about my indoor air quality? Your heating and cooling system is going to last for a long time. In fact, properly installed, the lifespan of a central air conditioner is 15-20 years. That’s why it’s so important to choose the best one for your home. The best way to do that is to contact a local HVAC expert and get a custom home evaluation. All the research in the world can’t compare to a trained professional evaluating your home’s particular needs. Let’s look closer at why these are the right questions to ask. This is probably the most common (and most difficult) question for most homeowners to answer for themselves. The honest answer is every situation is different. But there are a few guidelines to go by. If your system was made and installed before 2006 – it’s probably time to replace. These systems most likely don’t meet the minimum energy efficiency standards so they’re not as energy efficient as current models. This means you could see your energy bill go down when you buy a new unit. Where you live, the size of your home and your personal preferences all factor in choosing the best heating and cooling products for you. For example, if you live in the South, an energy efficient heat pump may be the right heating and cooling solution. But if you live up North with cold winters – a matched furnace and air conditioner system is probably best. Your potential energy savings and home comfort performance can be wasted or ruined if your new HVAC system doesn’t fit your home. Too big, and you’re paying a premium for what you won’t use. Too small, and your new system won’t be able to keep up with demand and you’ll burn more energy to keep up. Follow this guide to see what size system is right for your home. Depending on where you are and what you buy, you may be eligible for local rebates, tax credits, special financing, and more special offers. Don’t miss out on your chance to save. If you have pets or asthma sufferers in your home, controlling your indoor air quality is a must. From filters to whole-home air filtration systems, your Trane dealer can recommend the right solution for you. Choosing a home heating and cooling system is a difficult decision. If you want to get the best system for your home – and feel good about it, go with a dealer you can trust. See for yourself why we’re America’s most trusted HVAC brand. 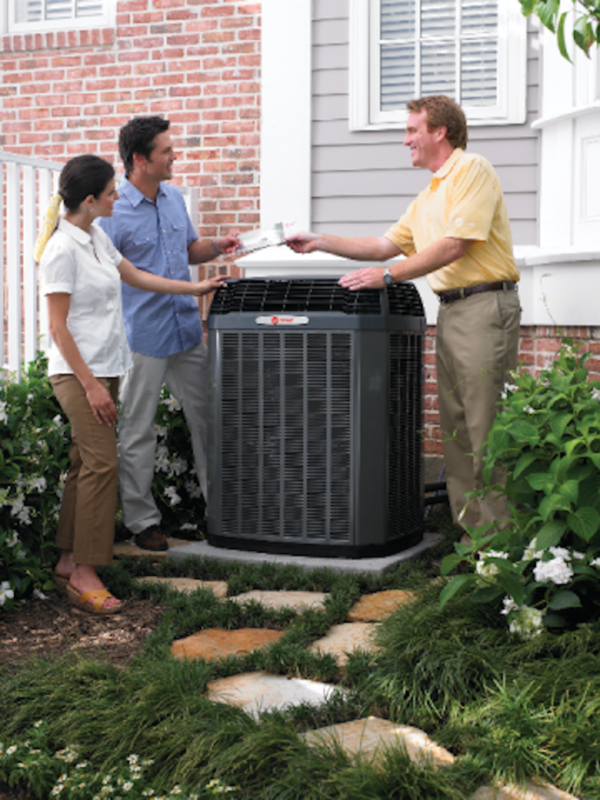 Talk to your local Trane Comfort Specialist and schedule an in-home evaluation today.